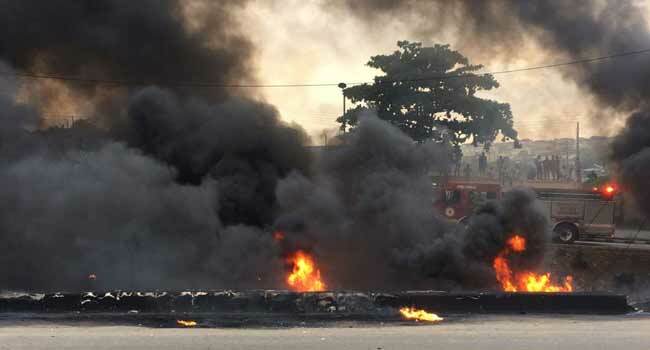 A fuel-laden tanker has exploded along the Otedola Bridge axis of Berger in Lagos with the blaze engulfing at least 30 other vehicles. 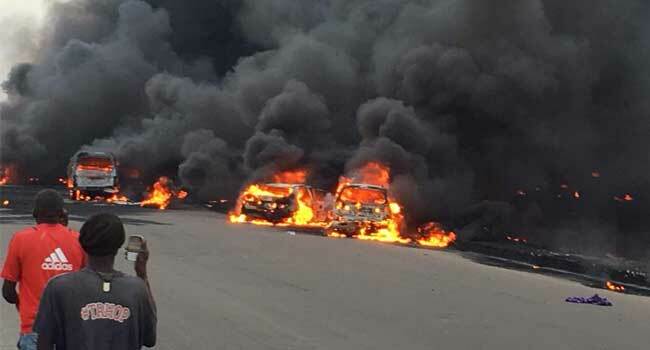 The tanker was heading out of Lagos towards the Lagos-Ibadan Expressway when the crash occurred, causing panic and fear. Many people were feared trapped in their cars and killed in the blaze, while many others sustained burns. 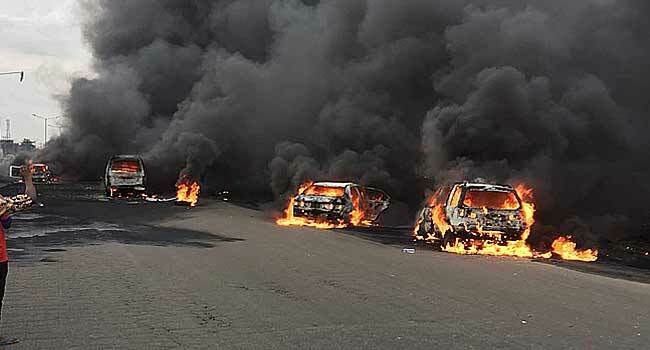 The General Manager of the Lagos State Emergency Management Agency, Mr Adesina Tiamiyu, confirmed to Channels Television that rescue officials have been able to retrieve nine bodies from the scene of the fire so far. Eyewitnesses, however, said the death toll might be higher as many people were trapped in their cars with rescue officials still working at the scene. 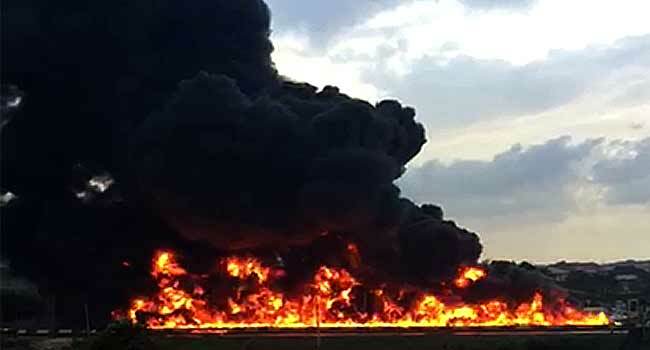 The fuel-laden tanker lost control, fell over and exploded. 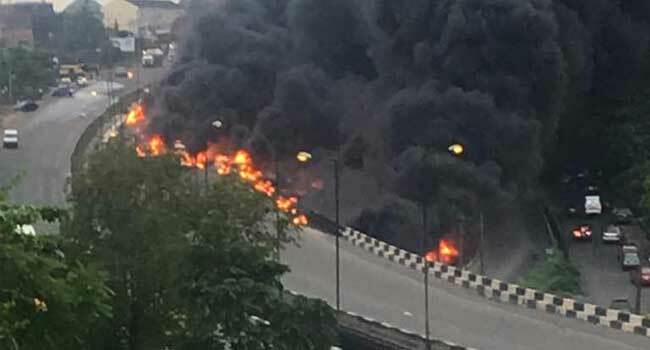 “I saw the tanker reversing and before we could know it, the tanker fell down and started burning,” said a witness who was riding a tricycle close to the tanker. He added that it took the grace of God for him to escape the fire with his tricycle.